Deal, NJ - It was hard to tell what had Matt Schwartz more stoked: the waves rolling in, or the relatively balmy 64-degree February weather as he wrapped up a day of surfing. But something else was bothering him: the possibility that he won’t be able to surf here for much longer. 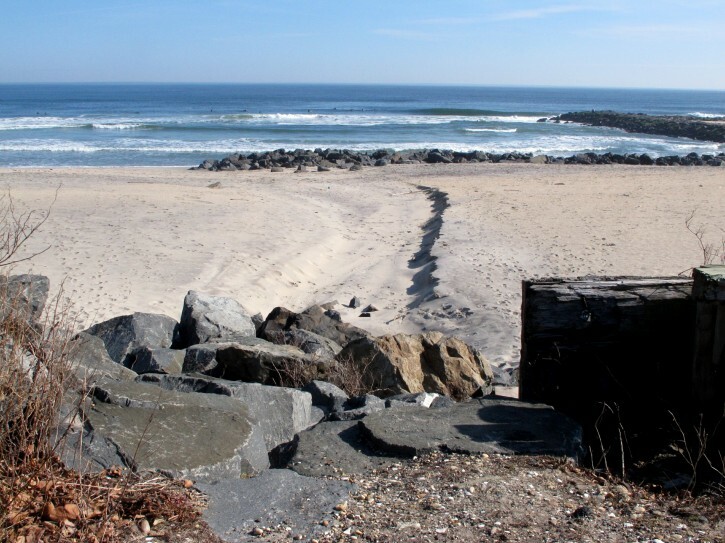 The spot where Schwartz carried his board ashore is the latest flash point in a decades-long battle in New Jersey and elsewhere over who can reach and use the beach. The American Littoral Society is suing the borough of Deal, trying to nullify an ordinance it passed in December that would vacate the end of an oceanfront street in return for a $1 million payment from a nearby landowner who wants the property as part of a development proposal. The group, which has fought for decades to preserve the public’s right to access and use public beaches, fears a dangerous precedent may be set in which coastal towns sell street ends to private landowners. The new owners might then block off spots the public has long used to reach the sand, according to access advocates. “It’s definitely not fair what they’re doing,” Schwartz said as he peeled off his wet suit and put his surfboard away. “It seems like they cater to one class of wealthy people here. I own a business and I pay taxes, and I should be able to walk on a public beach.” Deal says no physical barrier will prevent people from walking out onto the rocks and the sand even after the street end is vacated. But surfers and fishermen are worried that is exactly what will happen once the transfer goes through. New Jersey law regarding beach access is based on legal principles dating back to the Roman Empire, in which the tidal waters and beaches are held in trust for the public. The American Littoral Society says the street, Neptune Avenue, has long been used by surfers, fishermen and others. 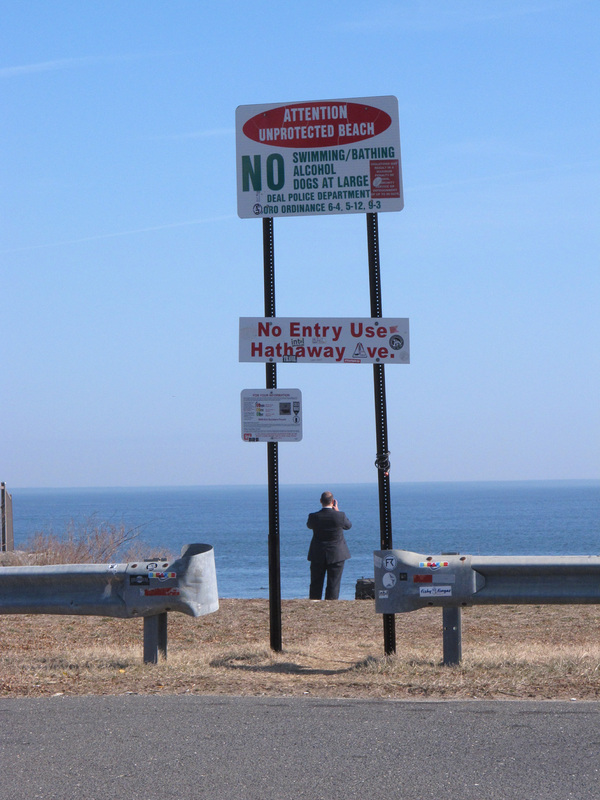 Deal counters that the end of Neptune Avenue has never been an official beach access point. 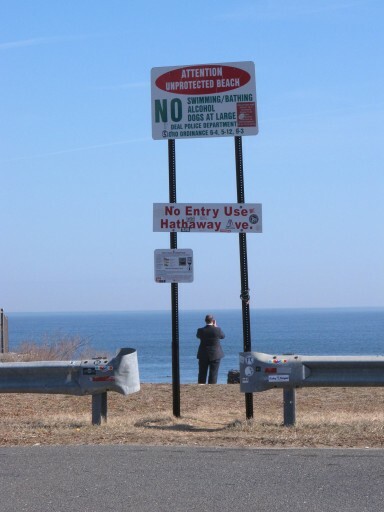 It notes that on an official inventory of such places maintained by the state Department of Environmental Protection, the avenue is listed as a visual access-only spot, meaning people can stand there to look at the ocean, but not use it to walk down onto the beach. A corner of the street end opens onto a row of large boulders, placed there as part of a recent beach replenishment project following Superstorm Sandy. While they don’t faze surfers and fishermen, who use the spot daily to get on and off the beach, the boulders can make it difficult for others to use. The town says it has an official beach access point two blocks away, and denies it is eliminating any existing beach access. Deal says its agreement with the developer prohibits anyone from blocking visual access to the beach and ocean, and it maintains a 12-foot-wide strip of land enabling access to the end of the property where the boulders begin. That would preserve the existing level of access, the town maintains. Paul Fernicola, an attorney for Deal, told The Associated Press that no physical barrier will be erected to block people from getting onto the boulders and then accessing the sand. But the Littoral Society and other beach access advocates fear that will be what happens eventually. Deal’s mayor and the parent company of the developer that would acquire the land did not respond to messages seeking comment on Thursday. John Weber, a borough councilman in nearby Bradley Beach, is a longtime surfer who has seen Deal discourage public beach use for decades by writing tickets to surfers, and trying numerous times to restrict parking near the beach to residents only.